http://en.wikipedia.org/wiki/Purikura#Purikura <--its a better explanation of what purikura is for thoes who dont understand what it is. 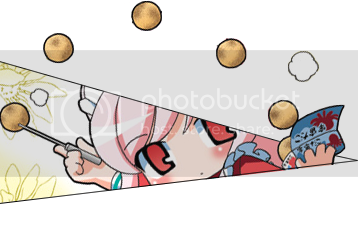 You Know Kazuko Is Desperate To Kill When... #61: She personally requests purikura at Fanime eleven months prior so that it'll have the support of everyone and they won't have a reason not to. Those purikuras are going to smell of fanboy funk in no time. Step 2: Start a pool with the staff - how many naughty couples will Rovers catch? More proof that we need TEAMS of fanimaids, not just Minagi-Chan. i have heard this sugesstion before, not sure where. maybe cosplay.com? the main issue with having such booths at cons is time. you can spend a very long time in one of those booths, and even if they limit the time to only a few minutes, think of how long you will be waiting, even if there is a fairly short line of only 5-6 people ahead of you. plus, there would probably be really high demand for the things, so prepare for very long lines. and even if time was limited to only a couple minutes per person, then there will be probably quite a few angry people who got harassed for staying too long, people that refuse to leave, and people that do not get enough time, especially if they have difficult costumes. besides, the things are huge and would take a lot to get them in and out, though DDR machines are not too easy, either. :P (and yes, i have helped take down a DDR machine before. :P) besides, where are you going to find a supplier of the booths? plus, there would have to be constant monitoring of them, as there would be lots of vandalism and as tony said, naughty couples, even naughty single people. i think it would only work if very stripped-down, smaller versions were brought in, as the larger ones with lots of features are going ot have a lot of people spending a lot of time in them. I really like this idea! I would definitely love to take purikura! I wonder if it'll ever happen...we all hope. solution: pine tree air fresheners. i'm brilliant. I would die and use it ten thousand times. Well, not in tht order maybe. But you get the idea. Seriously though, it would be great if it could work. Ah! Purikura Fanime would be such a great idea! Re: Purikura at fanime :3! There should be a Purikura from a supplier that does the basics: Take a certain set of good photos, give frame... I'm not so sure about stickers or writing though. I've waited 3 hours for my crazy cousin and her friend to gtfo the purikura shop. I honestly do not want to have another experience like that.